TV with Thinus: Unsuccessful VIDI struggling with poor uptake of the Times Media Group's video-on-demand service; Tiso Blackstar pulling out of VIDI. Unsuccessful VIDI struggling with poor uptake of the Times Media Group's video-on-demand service; Tiso Blackstar pulling out of VIDI. 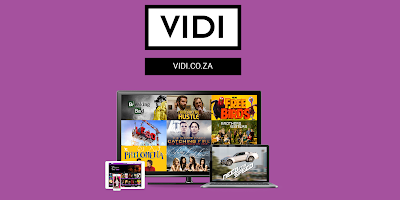 As quickly as it started South Africa's nascent video-on-demand (VOD) operators are coming under pressure largely due to a lack of fast and cheap broadband with VIDI from the Times Media Group (TMG) now struggling and under big pressure due to poor uptake. Investor group Tiso Blackstar which has full ownership of the Times Media Group is pulling out of VIDI saying the purple video-on-demand service that was launched with great fanfare hasn't been a success since it went commercial exactly a year ago in September 2014. VIDI recently launched a marketing campaign offering a Ferrari 458 Spider in an attempt to get more people to try the video service which at launch last year said that it would need 40 000 regular users to break even. News of VIDI's poor uptake comes straight after the shuttering of the disastrous Altech Node. Altron similarly launched the Altech Node with big fanfare at the same time in September 2014, then struggled to offload the expensive flop a few months later but couldn't find any buyers. Investment in the Altech Node gobbled up millions with a loss of R75 million for the six months to the end of August. "Increased competition in the video-on-demand (VOD) environment resulted in insufficient subscribers for the business to be viable," said Altron. While the Altech Node is a gonner and with VIDI struggling with poor uptake, there's since been MTN's FrontRow VOD service, with Naspers' ShowMax that was launched in August this year, followed in mid-September by China's PCCW Global that launched its orange ONTAPtv.com service in South Africa as well. Both ShowMax and ONTAPtv.com at their respective launch events refused to say how many users and subscribers they would need to be viable and successful but both ShowMax and ONTAPtv.com said there won't be immediate pressure. ShowMax said within "a period" it will have to start showing results and Naspers said ShowMax will be unprofitable until at least 2017, while ONTAPtv.com said there won't be immediate pressure but that "the metric of success is measured in financial terms". While Tiso Blackstar will exit the VIDI business within the next 12 months the VOD service struggling to gain traction is now busy "re-engineering the business" due to its "weak market penetration and the slow pace of meaningful broadband growth in South Africa". It's not clear what will happen to VIDI without Tiso Blackstar. The burgeoning yet struggling VOD market in South Africa is happening before the arrival of Netflix which told TV with Thinus at the beginning of the year that it would definitely launch in South Africa before the end of 2016. According to a just-released study by research firm BMI-TechKnowledge, South African consumers have a very low awareness of VOD providers with only 18% of people knowing what and who video-on-demand players are. According to the study there could be between 692 000 and 917 500 active video-on-demand (VOD) households by 2020 in South Africa. MultiChoice with DStv and its BoxOffice service stands out with the highest awareness as the leading pay-TV service, with low levels of awareness of the pure-play VOD providers," according to the market research.